Benzene is one of the most widely used chemicals in America that is also extremely dangerous to the health of those exposed to it. It is a toxic chemical solvent that is used in industrial manufacturing, though individuals who work as hair dressers, firefighters and service station attendants are also at risk for exposure. 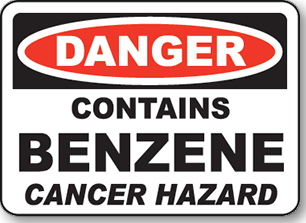 Companies have known of Benzene’s toxicity for nearly a century, yet despite this evidence, many have continued to place the health and safety of workers at risk by failing to provide adequate warnings and take adequate precautions. Individuals exposed to benzene are at risk for developing deadly illnesses, such as acute myeloid leukemia – a rare blood cancer. If you’ve been exposed to benzene in the workplace and have since developed a benzene-related illness, let us fight for you.